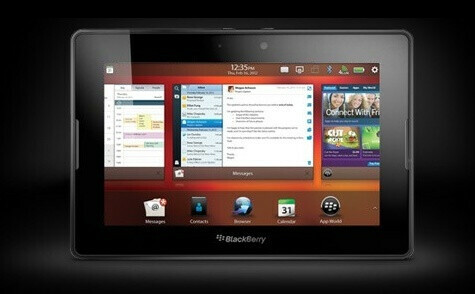 BlackBerry PlayBook 3G+ released in the U.K. Despite having a brand new speedy LTE network to connect to in the U.K., RIM decided to stick with 3G with its new tablet release in the region. The BlackBerry PlayBook 3G+ works over 3G pipelines, obviously, and is available only with 32GB of storage. BlackBerry fans in the region will be happy to have some sort of cellular connectivity on the PlayBook, even if it is equipped with the same 7 inch 1024 x 600 resolution that earlier models had. The BlackBerry PlayBook 3G+ is priced higher than the Apple iPad mini in the U.K. Some changes have been made besides the HSPA+ connectivity, including the bump up to a dual-core 1.5GHz processor from the dual-core 1GHz processor on the Wi-Fi only model. The pricing of the tablet is interesting because at £420 ($690), the BlackBerry PlayBook 3G+ costs £30 more than a 32GB Apple iPad mini tricked out with the same 32GB of storage and cellular connectivity. The BlackBerry PlayBook should be in the mix in that competitive 7 inch low priced tablet sector with the Amazon Kindle Fire HD, the Google Nexus 7 and the Apple iPad mini, but thanks to RIM's fading fortunes, the tablet seems to be just forgotten. We wouldn't be surprised to see RIM try to get rid if inventory by drastically cutting prices in a few weeks to spur holiday sales. For now though, when it comes to the BlackBerry PlayBook, it's slow business as usual for the Canadian manufacturer. 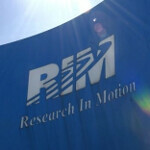 I really think RIM should reconsider the pricing on this. At what it is asking it just does not hold against a 9.7 iPad and pales in comparison to Both the Kindle HD and Nexus 7 and forget about the Nexus 10 which is shortly to be release. This is an absolute garbage device! RI has always been arrogant and they're still full of false pride. One can tell this by looking at the price they're asking for this child's toy! Who and why would any1 buy this....! ?